Masterbolt is a portable door lock that provides added protection in seconds. Quick installation on any door will prevent unexpected visitors from entering the room. This lock is perfect for people who travel often and stay in short-term rentals such as hotels, hostels, or Airbnbs. Masterbolt is also great to send to your son or daughter currently living in the dorms, or in their apartments in the city. Gift it to family and friends who will be traveling this summer for more peace of mind. 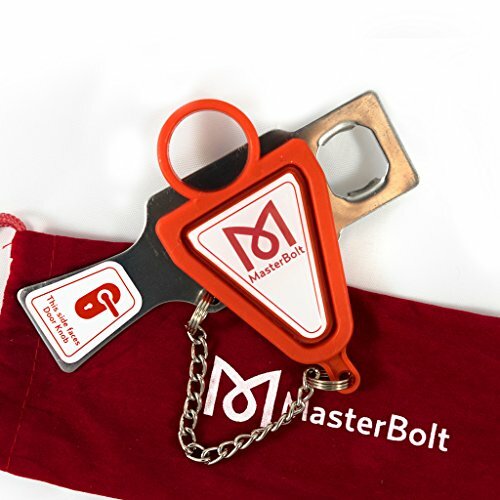 Take Masterbolt wherever you go for added safety, security, and privacy. If you have any questions about this product by MasterBolt, contact us by completing and submitting the form below. If you are looking for a specif part number, please include it with your message.